Walker Tool & Die is known as a friendly, family atmosphere. 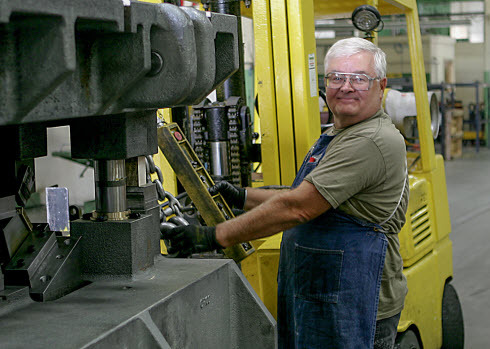 Many of our employees have made a successful long-term career at Walker. We are looking for good people who share our vision to be the best at what we do. We invite you to explore how you can add your talents to our team! Please review these available positions and submit your cover letter and resume using the online form. We will be in touch with you as we review resumes. Walker Tool & Die, Inc., a family owned business for over 56 years, known for quality work and superior customer service, is seeking individuals looking for a long term, rewarding, career in the skilled trades. If you meet these requirements, we want you! Walker Tool & Die offers competitive wages along with the following benefits: Great medical, dental & vision insurance plans. Company paid life insurance and short & long term disability insurance. 401k plan and flexible medical/dependent care accounts. Paid time off and paid holidays. Walker Tool & Die is an Equal Opportunity Employer.